With 20 years in hospitality and retail our Managing Director Alan Murphy has encountered many different EPoS solutions. Some good, some bad and some ridiculously complicated for simple routine tasks. 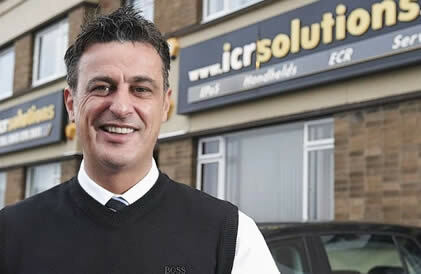 It was his insight and understanding that led us to our choice of NCR systems as our supplier of choice for EPoS. Systems that work for you and improve efficiency. Imagine for a moment…a solution that streamlines your business, manages your inventory, tracks your customers, improves your purchasing decisions, manages your vendors, lowers your costs, increases your bottom line and so much more all at the touch of a button. You can manage all of these functions anywhere you have an Internet connection and a suitable device. As one of a select few authorised resellers of NCR systems in the UK we are able to offer systems that our competitors simply do not have. The same systems that have been successfully installed in over 100,000 sites across more than 100 countries. NCR have been developing these systems for over 20 years and they have an unrivalled understanding of the needs of the hospitality & retail trade. With the largest and most experienced team of POS engineers in the north of Scotland we provide 24 hour support 365 days per year for our systems for less than £2 per day on a 12 monthly contract. We will even support products supplied by other vendors and suppliers on an adhoc per hour basis if you require. If you encounter a problem, we will solve it or supply a loan machine until the problem is resolved. We understand the importance of keeping you open for business. We supply systems that are fully customised, reliable and easy to use for the operator and the management. Our solutions reduce costs, increase staff productivity & accountability while eliminating waste, mistakes and problems.